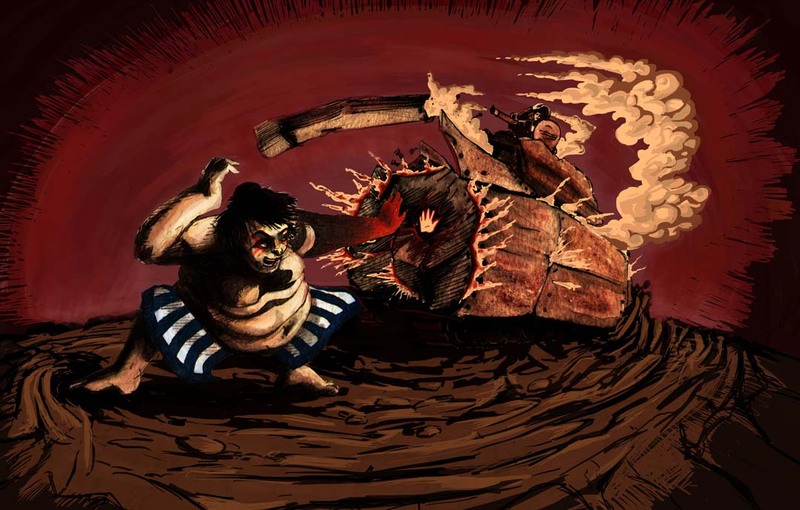 THE Street Fighter Tribute – E.Honda – Sumo Wrestling is Supreme! 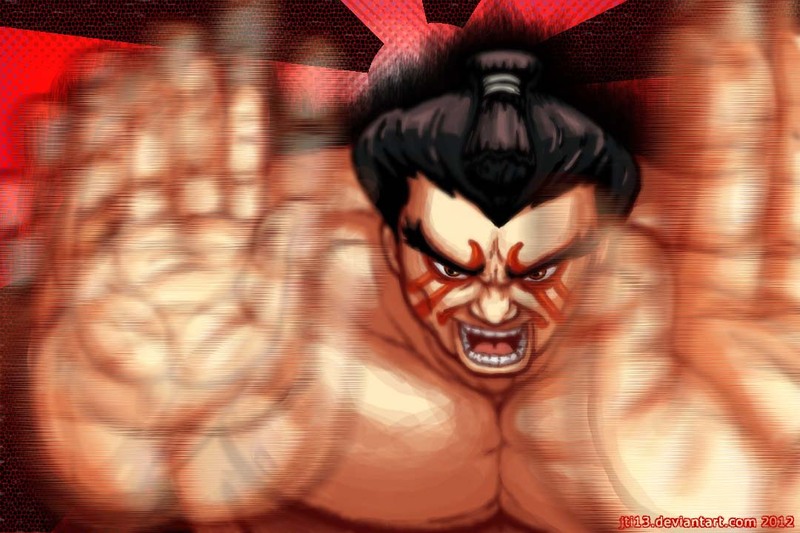 E. Honda is a fighter that represents an official Japanese martial art, Sumo Wrestling! He is a very interesting fighter, even though he is large, yet he is very fast for his size! 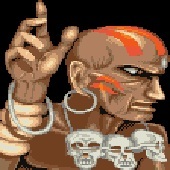 Especially his “Hundred Hand Slap” and his “Flying Headbutt” that would only take seconds to attack the other fighters! 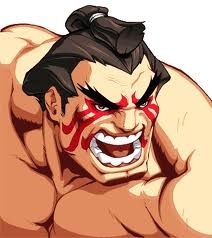 He is much well respected as a fighter and a favorite among players, in which many robust players can relate to, well other than Rufus. I wanted to display E.Honda doing his signature move like the flying headbutt, but that was a bit difficult to do in so many perspectives (well for me that is). 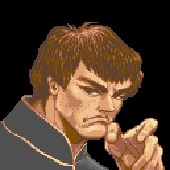 So I had another special move of his in mind, the hundred hand slap. I incorporated the rising sun in red with a black backdrop just to let the redness stand out rather than using white. With a black aura and sun rise behind him, gave some composition to the piece. I had a foreshortening done for his hands with a blur and smear effect to give it that “god-like” speed! The color base is basically a hot/warm red that represents his fury! Slap of Fury! LOL!